Home » Blog » Buying Advice » What Is Bridging Finance And How Does It Work? What Is Bridging Finance And How Does It Work? Selling your home can be a time-consuming and costly process, with some of the costs incurred including the deposit, legal fees, stamp duty, surveying, mortgage application fees, search fees and land registry free. If you know that you’re going to have the money to pay for these costs in the immediate future, but not upfront, you could apply for a short-term loan to speed up the process of your sale. Bridge financing is designed to help homebuyers complete the purchase of a property before the sale of their existing home has completed. 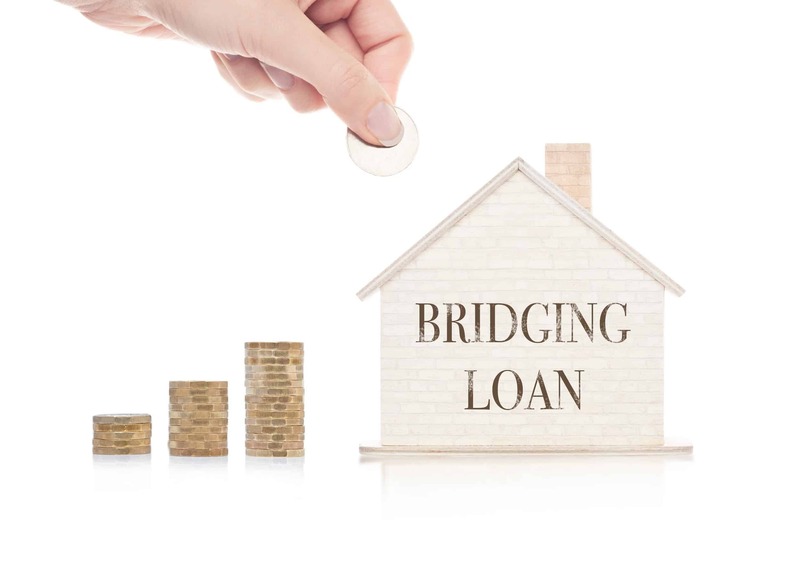 In this post, we’ll look at what bridge financing is and how it works, as well as the advantages and disadvantages to help you decide whether a bridging loan is right for you. Bridging financing, usually in the form of a bridging loan, is a short-term funding option designed to bridge a gap between a debt coming due and the credit becoming available. It can be used for a variety of reasons, including property investment, buy-to-let and development. Bridging loans are normally offered over 12 months or less, although it may be possible to secure a longer loan term depending on your circumstances. They usually have much higher interest rates than mainstream mortgages. The amount that can be borrowed depends on the lender and the homeowner’s circumstances. While most lenders offer up to 70% of the property value, others will go up to 75% or even 80%. The interest rates will be determined by the loan-to-value ratio, the property type (commercial or residential) and the risk to the lender. The typical terms for bridging finance over a 12 month period are around a 15% interest rate for the year, or 1.25% a month. Loan-to-value on commercial properties generally doesn’t exceed 65% for commercial buildings and 80% for residential properties based on the market value. The finance tends to only be accessible to those who have a high annual salary and therefore are more capable of repaying the full loan plus interest by the agreed date. As well as having high interest rates, bridging loans often have arrangement fees for admin, appraisals, notary, recording and title policies. There are two main types of bridging loans; open and closed. A closed loan is available to homeowners who have exchanged contracts for the sale of their current property and have an arranged timescale for the loan period to end. An open loan is for homeowners who have found their ideal home but have not yet put their property on the market, and therefore have no fixed timescale for the completion of the loan. Due to their nature, closed bridge loans are more affordable and flexible than open bridge loans. As bridging loans are an expensive way of covering a temporary credit shortage, they should only be taken out by borrowers who have a clear exit strategy. Short-term solution: One of the biggest advantages of bridging finance is that it’s only available over a short-term period. Whereas long-term financing products like a mortgage encourage long-term expenditure, bridging loans can be arranged from as little as one week up to 12 months. Credit profile: Your credit score can be significantly improved if you take out a short-term loan and make all of the repayments on time. This will help any applications you make for financing in the future, as the lower your credit score is, the less likely you are to be approved. Quick house sale: A bridging loan through a mortgage lender is typically completed within two weeks, whereas a residential mortgage takes on average two to three months to secure. The sale is also guaranteed, with no broken house chains or mortgage offers revoked by lenders. Flexible repayment: Although a closed bridging loan has a fixed repayment date, there’s nothing to stop you paying back the loan before then and saving on the interest rates. If you’re unable to make monthly interest payments, you can choose to pay it back at the end of the term instead. Incredibly expensive: The main disadvantage of bridging finance is that it’s very expensive. The cheapest interest rates in the lending market are generally 1.5% per month, but due to the short-term nature of the loan, the interest repayments are much higher compared to a long-term finance option. Compound interest: For every month a loan isn’t repaid, it gathers compound interest. This means that you’ll end up paying more interest in total than you would if you rolled it up, as your loan amount is increasing month-on-month. Credit profile: If you default on your bridging loan, your credit score will be adversely affected. A large number of loans do end up in default due to excessive interest rates and lenders being inflexible when it comes to late payments. Is Bridge Financing Right for Me? Bridge financing can be helpful if you’re looking to remortgage quickly or you need to refurbish your home before applying for long-term finance. However, the crucial thing to remember about a loan is that it should be a last resort and only for those who are confident they will be able to repay it. It’s important to consider your exit strategy against the timescale you have available. It’s always better to borrow for longer than you need to than to run out of time, especially as most lenders won’t charge you an early repayment fee. Bridge financing can be a great solution for homeowners who need quick access to credit. Deciding whether to take out a loan can be intimidating and we recommend seeking professional advice if you feel you need to. If you’re looking to sell your property quickly, contact our experienced team at Good Move today for a free cash offer.